This man is a son, a father, a brother. He has won dozens of journalism awards. He's been nominated for the Nobel Peace Prize every year since 2010. Powerful actors, including CIA, are engaged in a sophisticated effort to dehumanise, delegitimize and imprison him. THIS is the kind of jab at Trump that really MEANS something (as opposed to anything involving the words ‘RUSSIA!! !’ or ‘collusion’). I can even overlook the hypocrisy of it all. Bernie's first quarter fundraising results were very impressive. But let's not get caught up in the trap of thinking that whoever can raise the highest amount wins. Is Turkey about to be kicked out of NATO? It looks like Turkey and NATO are about to undergo an ugly divorce. First up is VP Mike Pence. Read more about Is Turkey about to be kicked out of NATO? The Seething And Contempt In Greenwald's Eyes About the "Joke and a Fairy Tale" of Russiagate Is A Watershed Moment. "The Games Is Over." 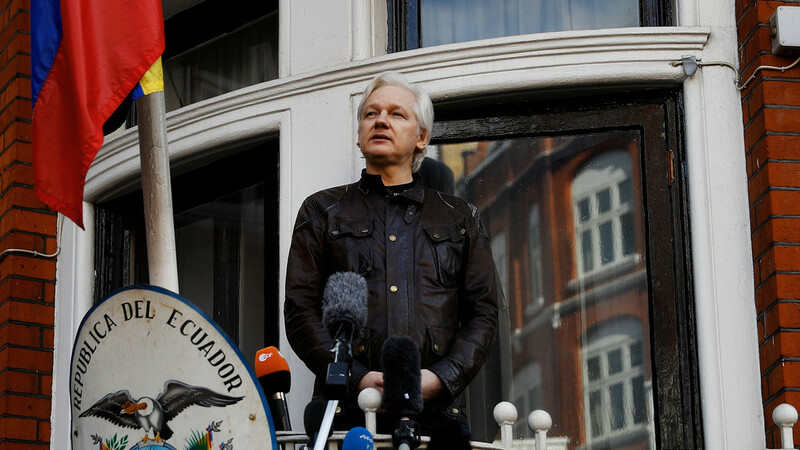 Read more about The Seething And Contempt In Greenwald's Eyes About the "Joke and a Fairy Tale" of Russiagate Is A Watershed Moment. "The Games Is Over." 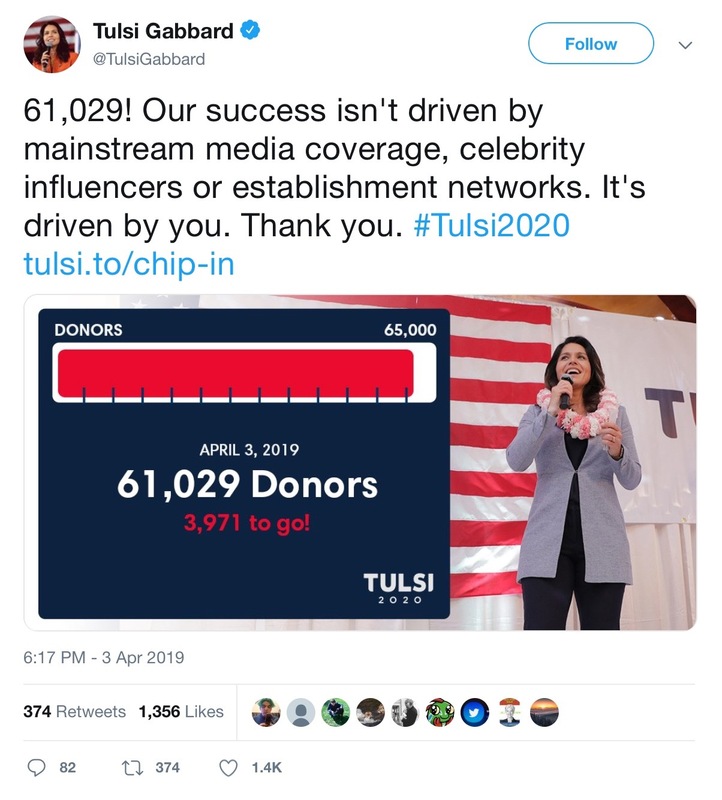 The Tulsi2020 campaign continues to gain unique donors, closing in on the magic number. As of tonight, Tulsi has 61,029 of them, and needs only 3,971 more to get into the Democratic debates. That's only 97 new donors per day through May 14. Tulsi's interview with Jimmy Dore is now on YouTube in two parts. Pretty decent interview (almost 150,000 views on the first one!). Just when I thought the SJW movement couldn’t get any whacked, someone comes along to prove that I’m wrong. Soooo wrong!